Geometric vector graphics design elements set. 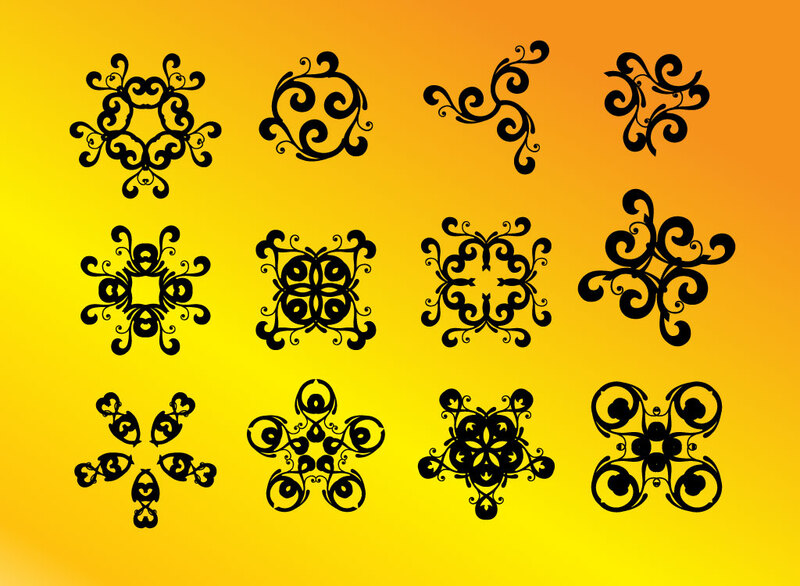 This free decorative vector download comes with twelve swirling and symmetrical shapes. Beautiful, ornate and decorative graphics for logo emblems, tattoo designs and icons. The black artwork comes with an orange and yellow gradient background that you can add to your stock footage library. Tags: Abstract Shapes, Branding, Design Elements, Logo Design, Tattoo Vectors.